Limiting hours an expensive printer can be accessed ensures an employee doesn’t come in after hours to print person stuff. This helps with maintenance and saves your organization time and money. 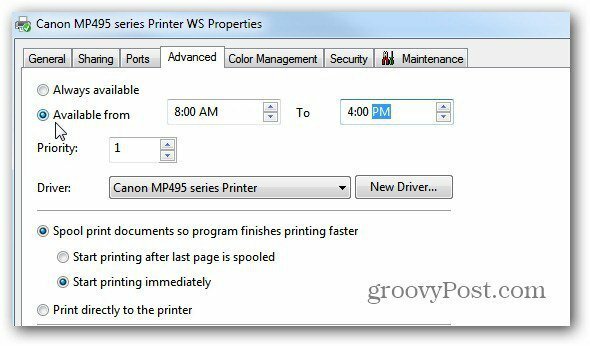 If you have a color laser printer or one where the ink costs a lot to refill, you can limit the hours when users can access it. Limiting hours it can be accessed ensures an employee doesn’t come in after hours to print their person stuff. This helps with maintenance and saves your organization time and money. 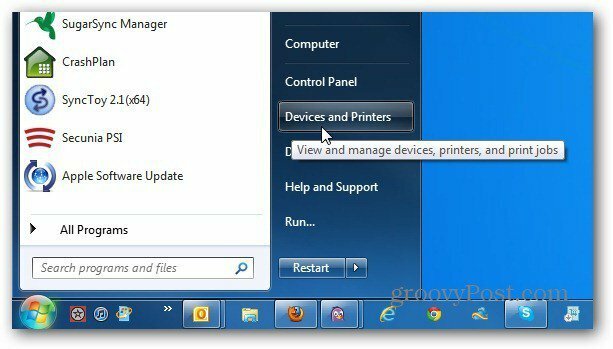 In Windows 7 and Windows 8, click the Start menu and select Devices and Printers. All of your devices and printers are displayed. 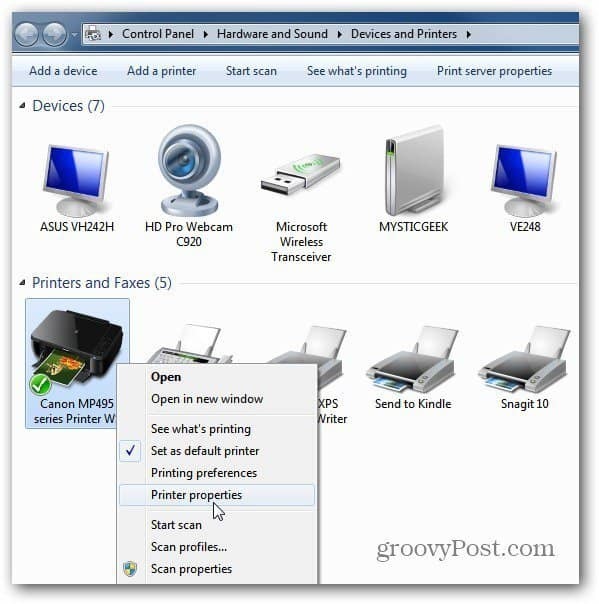 Right click on a printer and select Printer Properties. Then click the Advanced tab. Select Available From and put in only the hours you want it to be used from. Then click OK. 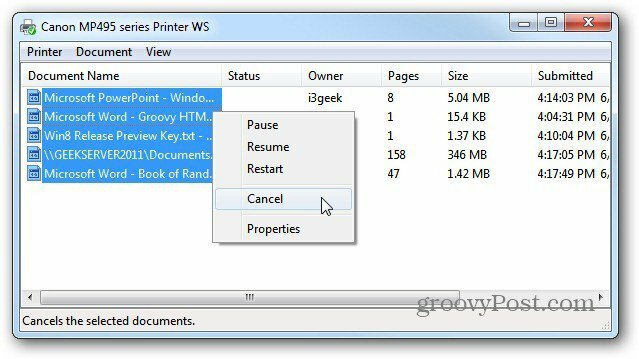 When a user tries to print when the printer is not available, they’ll see a message that it’s not available. People on your network will undoubtedly try to print after hours. Click Display Print Queue, then cancel the jobs they try to print. Depending on your network situation, managing the Print Queue might become a tedious task. The CEO or other department heads might want to have their documents print right away or after hours. Just remind them you’re doing the company a favor by limiting the hours an expensive printer is available. This comes in handy on a home network too. You’ll be able to monitor what other users are printing and cancel the jobs if needed. Wow, you have some great little tips here I didn’t know about. Great article, even without a lot of the pictures!